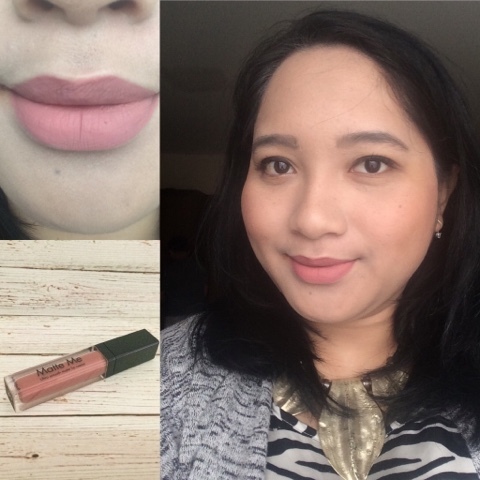 If you read in my 2015 Favourites blog post, you will spot on this lip product. This is so far one of my most favourite lip product so far. So here is how it looks like after applications. I love the super smooth texture and it's ability to dry up quite fast. Once it is set to the lips, it gives a very matte effect without making my lips super dry. It last well throughout the day even after consuming food. However, it is not resistant towards greasy food. The only downside of this product is that it is not available yet in stores throughout Indonesia. So it will be quite a gamble to purchase whether or not the shade matches our skin. this lipstick looks very good on you.